If dumping megatonnes of extra carbon dioxide into earth’s atmosphere produces ethical tar sands oil, I suppose eco-friendly ethical cigarettes are plausible too. Santa Fe Natural Tobacco Co., a subsidiary of R.J. Reynolds Tobacco Company, is advertising its Natural American Spirit cigarettes as earth friendly, additive-free, and organically grown. Consumer groups have been less than pleased with the company’s “green” marketing. Hasn’t RJ Reynolds Tobacco always been interested in health smart smoking? Just another incidence of twisting language to the point where there are no truthful words left so that truth becomes indistinguishable from truthiness and formerly character words no longer denote character concepts, but rather form a truth layer over actions of blatant narrowly-interested accumulation of wealth and power. Too true, Danneau! The French are famous for their language police. Maybe that is a more worthwhile concept than we ever realized. I have no idea why this is…but it is true. Some people who smoke additive free tobacco have found it easier to stop smoking – I'm one of them. As are 2 of my friends. 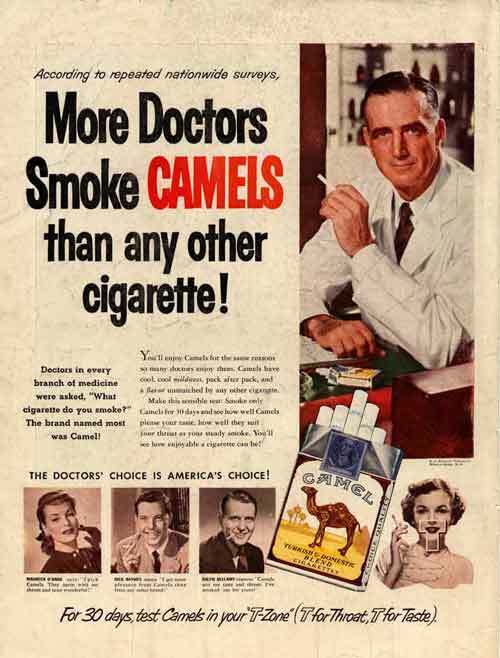 Perhaps they're more addicted to the added chemicals than they are to the nicotine?